A very special wedding took place at The Aleit Group in October 2011, Hans Roosenschoon (Operational Director of The Aleit Group) married the love of his life Babette le Roux (professional Cellist for the Cape Town Philharmonic Orchestra). The ceremony took place at the Huguenot Monument in Franschhoek with the reception following at The Conservatory. The couple shares some of their memories of this special time in their lives. The Aleit Group was responsible for the coordination of the day. Elsje Designs and A-Design created the beautiful wedding stationery, while Floral Affairs took care of the wedding flowers. Zara-Zoo Photography captured all the special moments with the videography by FJS Productions. There were a number of other providers without whom the day wouldn’t have been possible these include, Top Table, Presentation Staging, In and Out Events, MK Exotic Cars and Lifestyle Centre, La Residence, Elephant and Barrel, DJ Charita van den Berg, Shake and Serve Bar, Stir Food, Alicia Buckle Hair and Make-up, Classy Candle Hire, Exclusive Hire, Tablecloth Hiring Company, Frank Christie, Reuben’s Restaurant, Touareg Tents, Status Luxury Vehicles, Abigail Bets House of Couture, Nelle Cakes and Kanya Hunt. 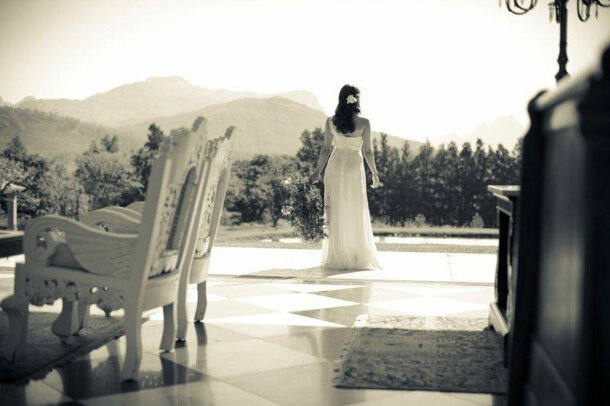 To book The Aleit Group for your wedding telephone Aleit and his team on +27 (0)21 887-4448. Alternatively to send and enquiry or for further details visit The Aleit Group. Group Weddings – have you thought to share your special day?